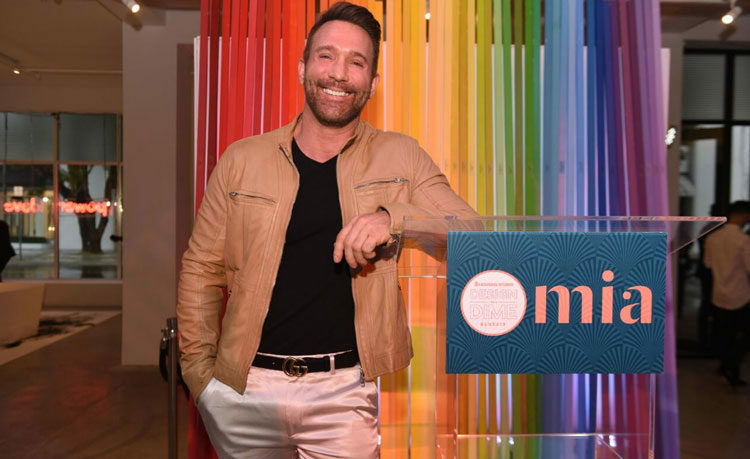 Housing Works, a leading AIDS-service and advocacy organization, announced today it will host its highly-anticipated fundraising event, Design on a Dime, in Miami from February 1-3rd, 2019, at the Moore Building in the Design District. The three-day, star-studded benefit will bring together the world’s most celebrated interior designers, influential tastemakers and celebrities to raise crucial funds for Housing Works’ national campaign to end the AIDS epidemic. For the fourth year in a row, participating designers will create one-of-a-kind room vignettes with new furniture, art and home décor merchandise, which is donated directly from top brands and then sold for up to 80% off retail during Design on a Dime Miami. Proceeds fund Housing Works’ “AIDS-FREE USA 2025” campaign which plans to end the AIDS epidemic nationally by 2025. Confirmed participating designers of Design on a Dime Miami include: A. Keith Powell, Aaron Mapp, All Things Taj, B+G Design, Britto Charette, David Charles Klein Design, Eolo A&I Design, Errez Design Studio, Fava Design Group, Fede Design, Get Decorated – Interiors by Lindsay, Hallock Design Group, Hernan Arriaga, House of Odalys, Janet Patterson Interior Design, JANGEORGe Interior Design, KAKAR House of Design, Laure Nell Interiors, Maggie Cruz Interior Design, Michael Dawkins Home, Miguel Lewis, Mike Stake Studio, MONIOMI Design, MS2 Design Studio, RedNoir/Monica Arellano, Robert Rionda Interiors, RS3 Designs, Nicole White Designs Interiors, and ViBe Designer Consignment + EDITION. Opening Night Reception “VIP Preview” night on Saturday, February 2nd, from 5:30 p.m. to 6:30 p.m.
“Public Sale” open to the public on Sunday, February 3rd, from 10 a.m. to 5 p.m.
For tickets to Design on a Dime Miami and the Chairman’s Dinner, please visit http://doadmia2019.splashthat.com/DesignonaDime2019. Founded in 2004 by Designer James Huniford, Design on a Dime challenges interior designers to create unique room vignettes curated with donated merchandise from well-known home décor brands and artists. All merchandise in these one-of-a-kind rooms is then sold at charitable prices to thousands of design-savvy attendees. In 2016, Housing Works grew the event nationally expanding it to Miami, Florida, for the first time. Since its inception, Design on a Dime Benefit has raised more than $15 million. To follow the conversation on social media about the event, please use the hashtag #DOADMIA19. About Housing Works For over 25 years, Housing Works has fueled the fight to end HIV and homelessness through fashion and design. Our signature events directly benefit our trailblazing work in grassroots activism, healthcare, and housing. Housing Works led the way during the height of the AIDS crisis in New York City, and continues to lead resistance efforts across the country in this current political climate. For more information, visit www.housingworks.org.